It is quite remarkable an exercise to change direction of travel and organise intercontinental relocation in a short space of time. I had booked the hotel in Rabat until Wednesday on account of what I thought was an unknown variable, the time needed to get the visas. What I has not considered was the start of the FIFA club world cup this week which meant it might have been a problem getting an extension to my stay. On account of that I got going with the organisation in earnest and secured a flight for yesterday from Rabat to Bologna €165 including €55 for the bicycle. Next step was the dismantling and packing of the bike. The medina was a great source of packing stuff though I had to negotiate hard for some cardboard boxes. I also bought a cheap plastic bag that will keep the bicycle panniers together. That completed by lunch time left me with the rest of the day to fill and I went for a leisurely set of walks in the city, first heading for the seafront and then into the Royal Palace gardens (pictures below). And this is where the nice bird lives. The seafront was quite deserted and I wondered a bit among the rock formations and the pools trying not to end up in the water. 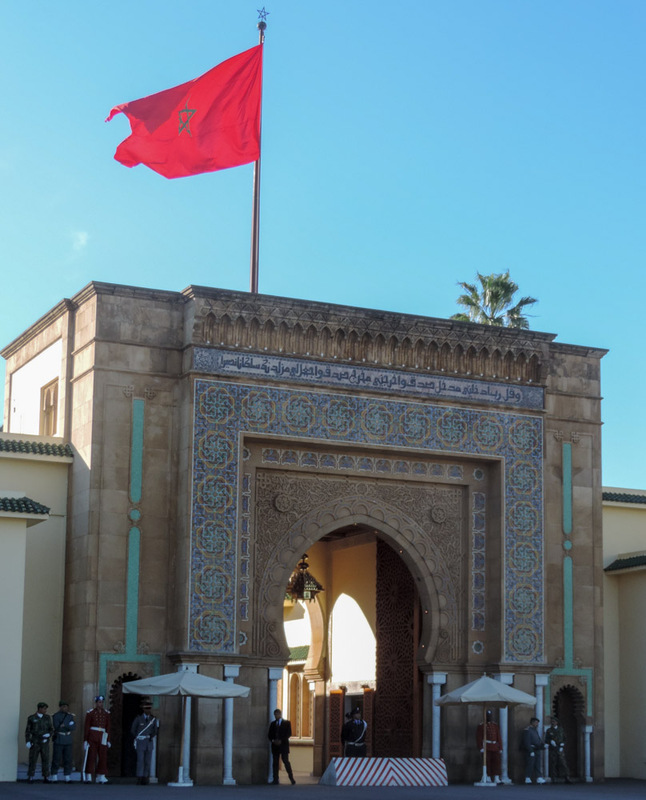 After that I headed for the Royal Palace which is accessible but only for a stroll in the gardens, and for that you need to have your passport checked and recorded by the Gendarmerie. There were two bus load of germans being shepherded around by guides but I got the impression that even the paid tour did not get to see that much more that I did on my own. What was quite impressive was the representation of each distinct branch of the army in front of what I assume was the main gate. 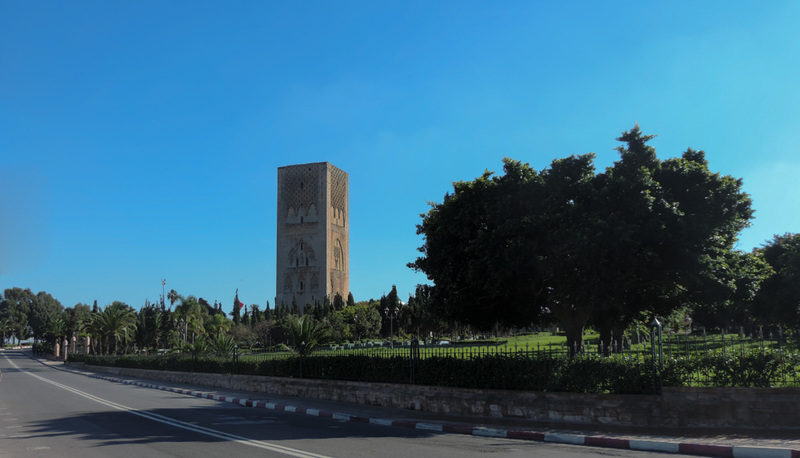 After the palace, and on my way towards the hotel I decided to find out what the big boxy thing that I had seen coming into Rabat last Saturday was? It turns out that it is an incomplete minaret of what was going to be the biggest mosque in the muslim world I thought it was appropriate to share this little finding as it chimes well with the incomplete nature of my rather ambitious challenge. Hopefully the difference between this and mine is that I will continue the cycling after Christmas and, at some point, I will complete the tour too. 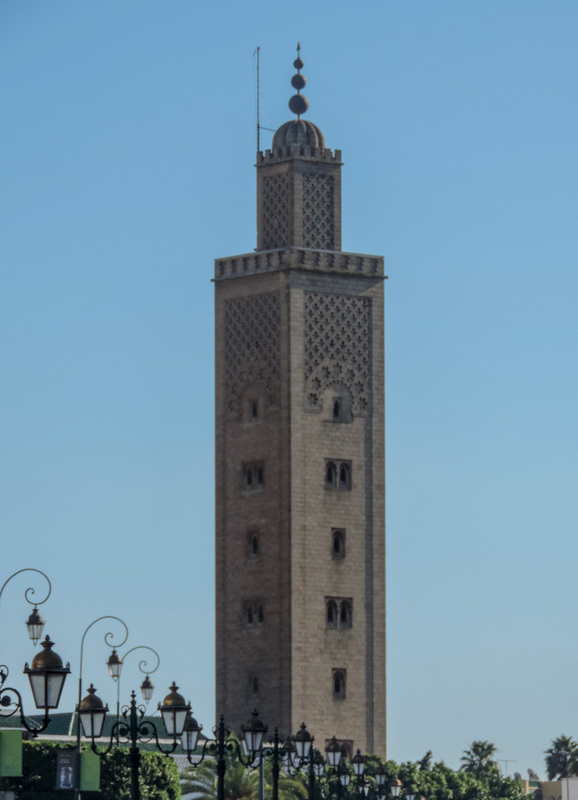 For reference, this would have been the minaret finished, or something like that. While I was doing that, and indeed pretty much for most of the time after the decision of abandoning Africa, I have ruminated on where to go next. I think in the end it’s going to be New Zealand. It will be good weather there in the new year and there are, according to my rough plan, 3000+ miles of paradise to be cycled with the option for that sailing course I’ve been thinking about for a time. All this topped by the fact that I’d get to see my friends Adam and Arantxa. 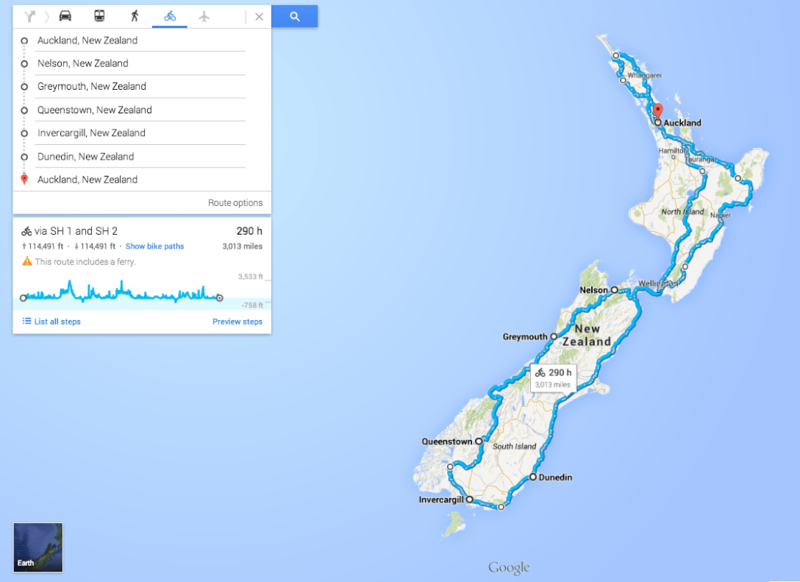 How about this for a comprehensive tour of the country. So, I am just left with wishing a very merry Christmas to all of you with whom I’m communing with on line, and alerting the Modena crowd that I’m in town and able to catch up with those who want to. Talk you again from down under in 2015. You will definitely love NZ. One of my favorite destinations of all time. Would you like your chair sending to Italy? We could bring it in person?!? It won’t be required in NZ – I did send you an email about routing earlier today. Have a good xmas Alex. The New Zealand idea sounds like a brilliant idea under the circumstances. Would you like a new saltire for your bike? I’ve been sad since you lost it and Imagine it might spark a few conversations in that part of the world. You too, I’d love a new saltire. I’m in the process of getting a new flag pole and I was thinking what to fly, of course my heart is with my adoptive nation and, given the choice I’d fly the saltire above all else. to you and all of your family in Italy.